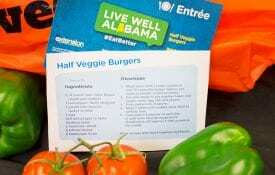 Live Well Alabama is a SNAP-Ed initiative developed by the Alabama Cooperative Extension System at Auburn University. 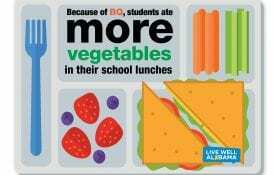 Live Well Alabama is also a multi-level initiative combining innovative adult and childhood obesity prevention and nutrition education initiatives. The Live Well Alabama initiative includes social marketing campaigns and policy, system, and environmental change strategies. The ultimate goal is to improve quality of life in the SNAP-Ed population by reducing and preventing obesity. This requires a culture shift and long-term commitment. The Supplemental Nutrition Assistance Program – Education (SNAP-Ed) helps reduce and prevent obesity in Alabama. SNAP-Ed’s statewide network of nutrition educators work to improve the environment around health and wellbeing for Alabamians. SNAP-Ed targets food assistance participants and others with limited resources in all Alabama counties. Eat Better. Move More. Make A Change. Alabama is consistently among the highest in the United States for adult and child obesity and related health issues. Many individual, environmental, and societal factors also contribute to the difficulties Alabamians face in achieving a healthy lifestyle. Lasting change requires a culture shift achieved through a multi-level comprehensive approach. There is great potential for positive change in Alabama and many local successes happen every day. With strong partnerships at the local, state, and national level, widespread and lasting change is right around the corner. 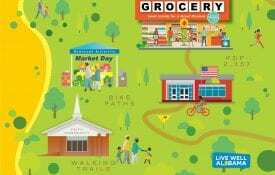 Improving dietary and physical activity behaviors of individuals and families and also building partnerships to improve the health of communities are among key Live Well Alabama efforts.